If you’re responsible for a group of employees, it’s in your best interest to make sure no one is ever injured while at work. Not only does the injury badly affect the employee, but it can also seriously damage the business if the accident wasn’t their fault. You need to make sure you cover every aspect of the health and safety requirement, and in some cases even more. 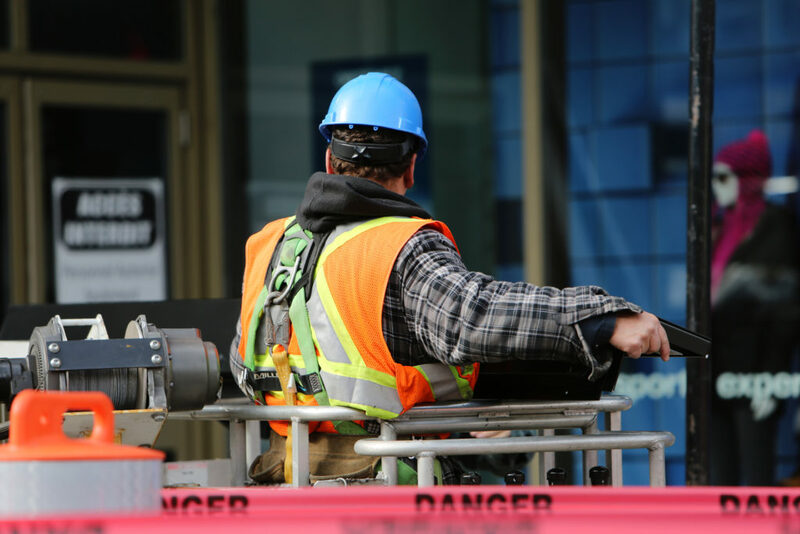 When working in manual labor, the safety risks are even greater, which means you’ll have a harder time trying to make sure everyone is protected. There are extra measures you can take though, so it’s important to look out for them while you can. In a lot of workplaces like building sites, you need to make sure that everyone is equipped with the essential protective gear. Usually, this would be things like a hard hat, protective glasses, high visibility jacket, etc. Employees without these might find themselves more likely to be a victim of an accident, and the outcome can be even more serious than necessary. There’s a reason that these rules are enforced, and it’s because they help prevent accidents significantly. For example; imagine you’re working without a helmet, and some rubble or a brick falls on top of you. While the helmet doesn’t make you immune to the impact, it does prevent you from taking a fatal hit. You’re responsible for those working under you, so you need to make sure that everyone is doing fine and isn’t a safety risk. In most workplaces, it’s required to tell your employer about any health conditions that you’re prone to, and anything that you require in the workplace to prevent harm. In some cases, you may actually be declined a job if the health risk is too serious and risky to hire with. Imagine if you’re working with heavy machinery or power tools, and suddenly you pass out to physical stress. Suddenly, you’re a risk to another’s life. Even after employing people, it’s best to make sure you’re up to date on their health, just to make sure that nothing goes unnoticed and there are no unnecessary risks in the workplace. Something you can do to help prevent workplace injuries is to make sure you can take away as many risks as possible. This can be anything from weathering to safety rails, and you’d be surprised how much of a difference they can make. Especially when you have employees working on high up surfaces, you wouldn’t want anyone to risk slipping or falling off because of the weather and a lack of security. It does cost extra to have these installed, but when it comes to protecting your employees, the costs shouldn’t be the priority. There’s quite a lot you can do to add security to your workplace, just make sure to consider the risk you would be taking on the job, and reinforce your prevention methods. Like mentioned before, when it comes to your workplace security, money shouldn’t be the priority. There are plenty of times where you might consider trying to fit things into the budget by investing in cheaper equipment. It’s never a good plan to buy cheap equipment, as you never know if they’ll malfunction. Sure, if the item is of good quality, then it’s a good investment; but if it’s cheaply made and you see it as a way of saving money, then it’s a no go. What if the cheap equipment you bought backfires? Like a power saw coming apart or breaking, it could fragment and do lethal damage to people nearby. Make sure you know what you’re buying, and don’t risk skipping out on the essentials. If you’re using heavy machinery constantly, it’s best to make sure that it’s checked every now and then to ensure it won’t break. Even the most heavy duty items are prone to issues after frequent use, especially if proper care hasn’t been followed. If you’re relying on these heavy tools, then you want to make sure they can fulfill their job, else casualties can be caused, and workflow will be slowed. This becomes even more essential if you invested in cheaper equipment, like mentioned before. If you don’t follow the workplace health and safety methods, you may actually be breaking the law. Of course, not all of the ways to prevent injuries are legal requirements, but it can still damage you if you’re the fault of someone’s injury. In some cases, it’s not always the equipment that fails the employees, but the management. People can be overworked, and it most definitely can come to serious injuries, so make sure you’re sensible with workloads, and your employees are coping. Next Article Bored of Being Broke? It's Time to be More Methodical With Your Money!